Jersey City, NJ – August 3, 2018 – TrialScope, the global leader in clinical trial transparency and compliance solutions, today announced that its Chief Strategy Officer, Thomas Wicks, will be presenting at the 2nd Disclosure and Transparency for Clinical Data Summit on August 13th at 11:15 a.m. EDT in Philadelphia, Pennsylvania. The presentation, titled, “Fixing the Compliance Challenge on EU CTR,” will provide clinical trial sponsors with insight to understand the regulatory requirements for disclosing results of clinical trials on the EU Clinical Trials Register (CTR), assess their company’s compliance and address potential issues. In addition to Wicks’ session, Francine Lane, VP of Global Transparency at TrialScope, will be participating in a panel discussion titled, “Infrastructural Issues with Data Transparency.” That session will be taking place on Monday, August 13th at 2:00p.m. EDT. TrialScope is the global leader in clinical trial disclosure and transparency management technology, supporting 13 of the top 15 industry clinical trial sponsors and over 40% of all industry trials registered on ClinicalTrials.gov and EudtraCT. 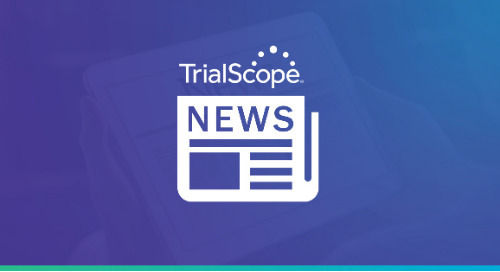 TrialScope provides proven solutions that are designed to optimize the efficiency of disclosure activities, maximize trial data transparency, and foster more informed, engaged patients through open research sharing. To learn more about TrialScope, visit www.trialscope.com. The post TrialScope to Present at 2nd Disclosure and Transparency for Clinical Data Summit appeared first on TrialScope.